Could a Boost of Iron Be Key? Iron plays an important role in the body helping to deliver oxygen, but many people are slightly deficient. You might have enough iron to be “healthy”, but not enough iron to be happy or comfortable. Low iron levels can cause low energy, as well as things like restless leg syndrome (keeping you up at night and doubling down on that low energy). While vegans and vegetarians are at a higher risk for low iron levels, anyone can be a little short. There’s a method to getting more iron safely. You shouldn’t go out and buy the first supplement you see. In fact, most supplements you find in stores use a cheap, not easily processed by the body form of iron, and taking them long term is correlated with an earlier death! This is particularly annoying if you want to choose a supplement for a different reason, like women’s health, men’s health, or cardiovascular health. Because so many people are a little short on iron (and they’re just throwing in cheap ingredients anyway) you’ll often find that iron is an ingredient. Not everyone needs iron, especially in that bad for you form! And it’s not good to take it forever when you just want some heart health support (if you face this problem, try our Welltrients line of supplements instead!). So here’s how to safely make sure you’re getting iron: consider starting with a blood test. Some people have a genetic disease where their bodies hoard iron, and they need to manage the natural amount they are eating by regularly giving blood or even by taking medication and altering their diet. Knowing your iron levels is cheap, and a safer way to start. Then try to raise them with food. Meat eaters can enjoy red meat, and liver if there’s urgency to getting the numbers up. Vegetarians/vegans can get iron from spirulina, an algae that’s packed full of protein, iron, and other nutrients. 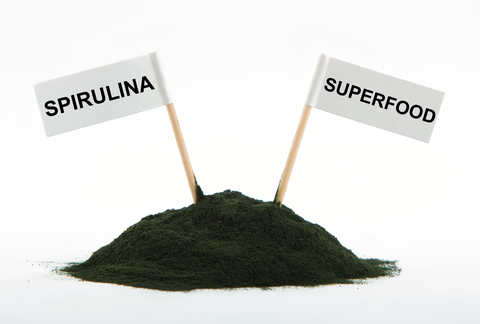 If you need to add an iron supplement into the mix, choose spirulina. You’re still getting iron from a natural food source, so it’s a better, safer option than all those low quality supplements lining grocery store shelves. Blu-Lina Organic Spirulina not only gives you more dietary iron and protein, it has powerful antioxidants and has been shown in studies to support health in a multitude of ways (including diabetes). Add iron more safely with a food-based supplement like Blu-Lina Organic Spirulina. Previous post: Is Alzheimer’s the Immune System Gone Wrong?